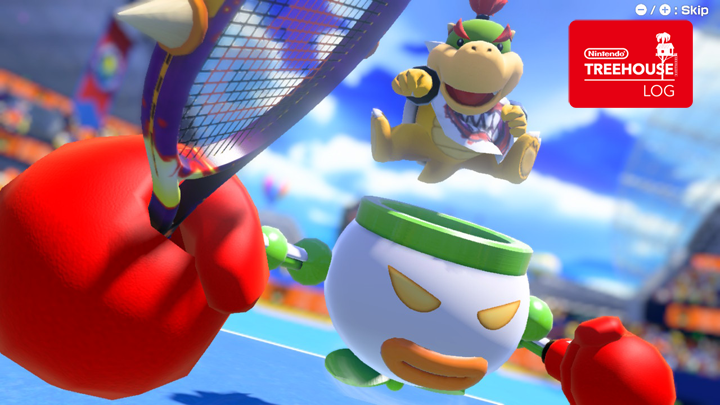 Nintendo of America has uploaded the full patch notes for Mario Tennis Aces’ Day One Patch. As we’ve reported earlier, the patch adds “Online Tournament” to Tournament mode, as well as support for Chinese and Korean. Other changes have also been made. Keep in mind you’ll need at least 2GB of space to install this update. We have added “Online Tournament” to Tournament mode. When playing Online Tournament, you can choose from four different types of courts in Marina Stadium. We have added “How to Play” to the main menu. You are now able to practice basic shots and new shots outside of the “How to Play” in Adventure mode. We have added “Bonus” to Adventure mode. This allows you to play the story over again from the beginning and watch movies. “Bonus” will be added once you have cleared Adventure mode once. When you select “Start from Beginning,” your progress, level, and obtained rackets will all be reset. It is not possible to carry over your status and play from the beginning. Online play: We have made some changes to the way that latency is handled in online play. We have addressed an issue that caused severe latency when the network connection became unstable. We have raised the frequency with which the game confirms and refreshes connection quality. This addresses the problem of connection quality remaining low for a longer period than necessary once the connection was determined to be poor in one single instance. Online Tournament: We have improved the accuracy of processing the confirmation of connection quality for both yourself and your opponent before the start of a match. Online Tournament: We have addressed an issue that caused a dropped connection at a certain time in a match to result in the dropped player receiving credit for a win. Free Play: We have addressed an issue that caused the next match to automatically begin when no control input was detected after a certain amount of time at the end of an online match. When you have save data from playing one or more matches in the online tournament that took place prior to launch, you will obtain Mario “classic outfit.” You will be able to switch to this at the character select screen for each mode. You cannot change character appearance in Adventure mode. We have added support for Chinese and Korean languages. Overall: We have addressed an issue where a Zone Shot that landed very close to the line was being counted as out. Standard Overall: We have addressed an issue that caused your Energy Gauge to fill on a Nice Serve even when the shot was a fault or a let. The above two issues did not occur during the online tournament prior to launch. COM Tournament: A crown mark will now appear next to the name of a character who has won the tournament. COM Tournament, Online Tournament: Suspend data from a tournament will now include your settings choices from the character select screen. Some changes from the online tournament prior to launch are also included. When you update to version 1.1.0, you will no longer be able to engage in local play with those using version 1.0.0.